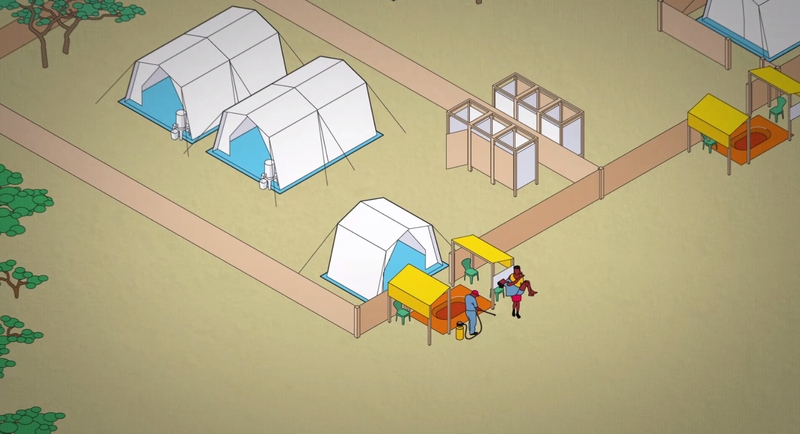 When our teams set up a cholera treatment centre (CTC), they usually divide the centre into four areas. Three for medical activities: patient observation, hospitalisation and recovery. The fourth for staff and logistics.